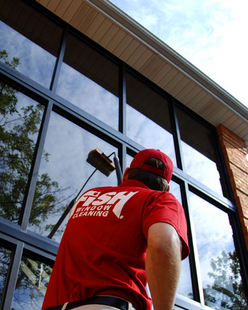 Welcome to Fish Window Cleaning Austin, TX! 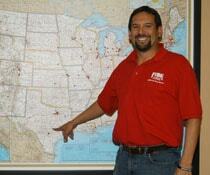 We service businesses in Austin, Cedar Park, Pflugerville, Round Rock, Georgetown, and Hutto, TX! It's so important to maintain the polished and professional appearance of your business but you're probably way too busy to try cleaning all of the windows in your store, office, restaurant, or any other commercial building. Let our team of licensed, bonded, and insured window cleaners take care of this time consuming task for you! We offer reliable year-round scheduling, customized window cleaning and other cleaning programs and schedules, emergency cleanings, and various billing options. Click for more information on our commercial cleaning services. Why have we become the largest window cleaning company in the world and Austin's #1 window cleaning company?